What’s up at the DOE? 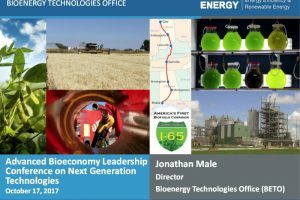 Bioenergy Technologies Office Director Jonathan Male answered the question in this update, given at ABLC 2017 in Washington. In this deck, he looks at milestones ahead, programs, goals and challenges.